Celeb Gossip News – Mamma Mia 2: Did you recognise Young Harry star Hugh Skinner from Star Wars The Last Jedi? 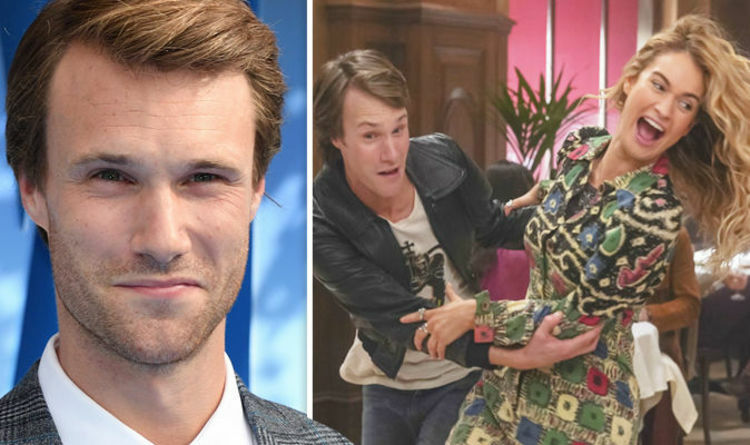 Mamma Mia 2: Did you recognise Young Harry star Hugh Skinner from Star Wars The Last Jedi? Skinner has built up an impressive CV already, having starred as Unwin Trevaunance in Poldark, Sir George Howard in Harlots and Will Humphries in W1A. He also played Harry in Fleabag alongside Phoebe Waller-Bridge, and was Wills in the TV series The Royals. But did you spot him in Star Wars: The Last Jedi last year? Skinner had a very small role, acting alongside Laura Dern as Admiral Holdo’s First Officer. Speaking to The Guardian recently, he said of his experience in a galaxy far, far away: “I didn’t know what was going on, to be honest. “It’s all so secret, they can’t really tell you what you’re playing. But it was extraordinary to be on a production of that scale. In the same interview, he recalled of his experience on Mamma Mia: Here We Go Again: “Doing Mamma Mia was scary full stop, so playing a young Colin Firth was even more intimidating. “I just had to keep reminding myself that I was playing Harry and not Colin Firth, which psychologically felt better. Mamma Mia 2 has had a storming time on release so far; attracting better than expected reviews and earning around $ 90 million worldwide at the box office since Friday. The soundtrack album – on which Skinner sings on Waterloo and Why Did It Have To Be Me? – is expected to hit No1 in the UK on Friday. Mamma Mia: Here We Go Again is out now.